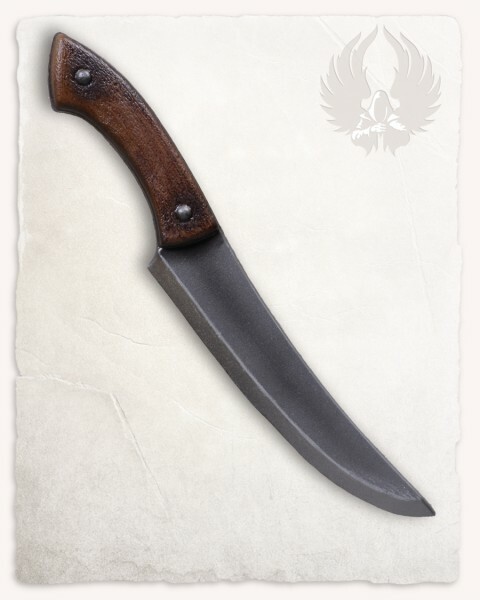 "Durik" is a craftsmen knife from our "Battle Standard" line of products, made from nearly indestructible polyurethane. This item is no toy, but a requisite to portray fights. Disclaimer: All items shown here were especially designed to safely portray fights in controlled environments like liveroleplay events, theater stages etc.. These foam weapons are made with a glass reinforced plastic rod as a core, fully encapsulated in soft foam to avoid injuries.